Fun for lacing up your shoes or hair with a splash of color with these sporty We Love Colors laces! With 51 colors to choose you can change your look daily. 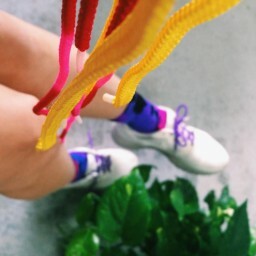 Fun for lacing up your shoes or hair with a splash of color with these sporty We Love Colors laces! The sample pack to review include round and flat laces on different sizes. You will find 51 colors to choose from on our website. You can change your look daily. www.welovecolors.com is promoting Colorful Shoelaces ( 3 Different Samples Included ) #welovecolors Received and my kids loved them! 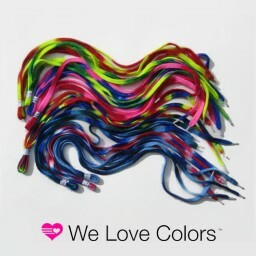 #welovecolors has Colorful Shoelaces! http://bit.ly/1CAd5We - Blog post coming soon! Www.welovecolors.com #welovecolors. Awesome shoelaces and more! 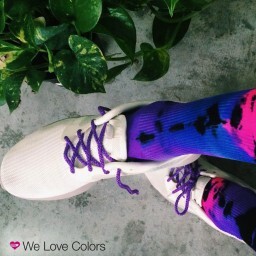 #welovecolors is sure to brighten your shoes. With 51 colors you will find something you like. I recieved these complimentary from We Love Color and all opinions are my own. Be uniquely #YOU! 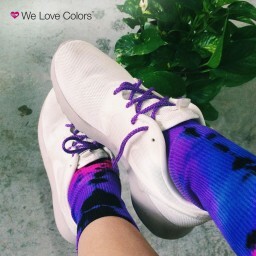 Customize your shoes with #WeLoveColors! #welovecolors even brightens up my favorite worn in 'skips'!!! Love them!!!!! My new sneakers! Done up with the snazzy laces I got from #welovecolor! Their off shade pops really nice in person! Check 'em out! Welovecolors.com !